This winter do not miss out on the chance to shop like crazy. Fashion website, Benoit, is here to pamper your needs keeping in mind the budget. 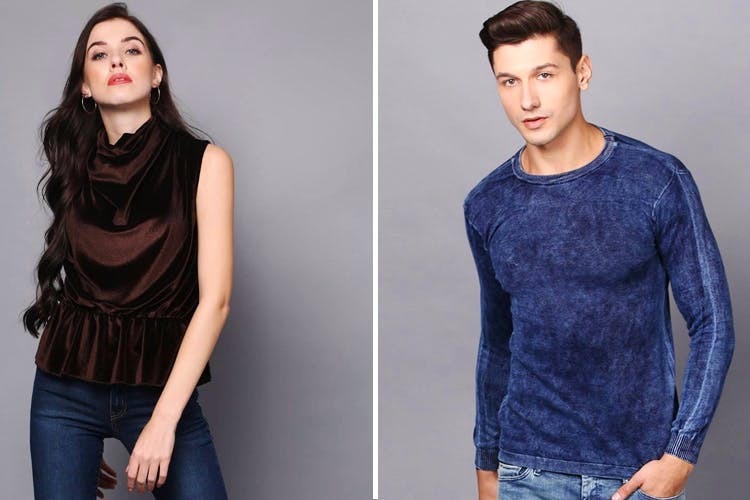 Benoit Fashion is a Pune based start-up that aims at filling the void in terms of fashion wear. They have a wide range of options for both men and women. This company brings fashionable clothing at affordable rates, the highest price being under INR 3,000. Men’s formal and party wear shirts cost under INR 2,000 and men’s polo shirts and T-shirts under INR 1,000. This is the kind of deal you get in seasonal sales. For women, Benoit keeps a fancy collection of dresses that cost under INR 2,000. Their best collection is that of the tops. Starting from cowl neck to one shoulder to pleated crop top, this collection is surely going to make you go bonkers under INR 1,500. If you’re looking for the perfect jumpsuit for a party then Benoit has a whole collection of them under INR 2,000. To complete your looks, they also keep a collection of bottoms. Get palazzo pants, faux leather skirt, skater skirts and trousers under INR 1,300 from Benoit.